Please read the policies below before clicking on "I agree." If you’d like to join us and we’re no longer taking reservations (we stop at 5pm on Fridays), please keep the information below in mind and come early so that you can find some space. Our summer show, The Salt Plays, Part One: In the Wound, is presented with a suggested donation of $10 for non-Subscribers, though no one will be turned away for lack of funds. You are free to make a pre-donation right now at the link below or you can make one at the amphitheatre. 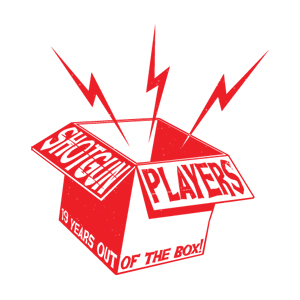 For our summer show, we offer reserved seating only to our Shotgun Subscribers. All other seating is first-come, first-served. For information on our subscriptions, go to this link. We reserve a number of rows near the stage in John Hinkel Park for our Subscribers based upon the number of reservations we receive, so it’s very important to let us know when you’re coming. Subscribers may bring guests but due to the extraordinary popularity of the show and number of Subscribers (over a thousand this year – thank you!) we do ask that guests’ suggested donations are paid for in advance as a courtesy to other Subscribers. Seating within the Subscriber section is still-first-come-first served. Everyone (including non-Subscribers) is encouraged to come early (we've been telling people to come as early as 2pm). Anyone with mobility, hearing or sight issues is asked to please make reservations in advance (even if you are unable to pay the suggested donation by credit card) so that we may save space for you in front. If you forget to pack a picnic we've got it covered! For every performance we offer concessions, including Aidell’s Sausages, Sweet Adeline cookies, and drinks. Patrons are advised to dress in layers. Sometimes the seating at John Hinkel Park can be a little bumpy or twiggy. We recommend bringing a blanket, pillow or old beach chair to make your experience more pleasurable.